I'm planning on repainting my hood this weekend and was wondering if anyone has experience with 2k clear coat. 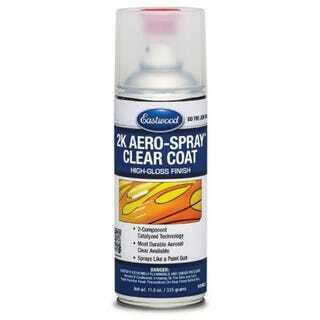 For those that don't know this is a 2 part urethane clear coat that comes in an aerosol can. You simply mix the 2 chambers and you have a high quality 2 part clear coat that lasts 48 hours in the can. My question is regarding application over rustoleum rattle can which I will be using for the base coat. The rustoleum can says either clear within 1 hour of painting or wait 48 hours. My question is can I really clear coat it within one hour of applying the base coat? Also I will be doing a complicated 3 tone paint job, should I sand before applying clear? I wasn't planing on it as I was worried the colors would run together when wet sanding.